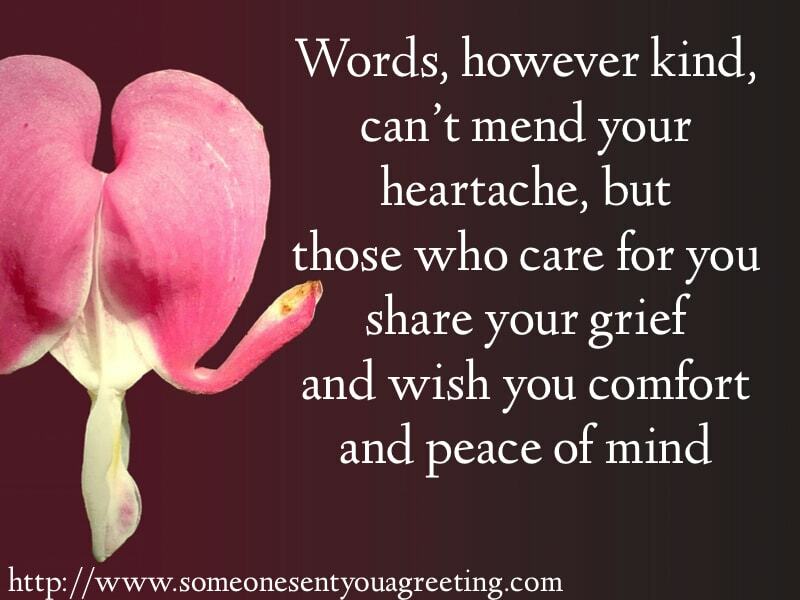 Writing a sympathy message is arguably the hardest to do. Obviously your discomfort with writing one is irrelevant compared to the grief the recipient is going through, but finding the right words, trying to offer comfort and at the same time avoid causing any offence is very tricky. The last thing you want to do is end up making someone already suffering from the loss of a loved one feel even worse. So it’s no surprise many struggle with what to say in a sympathy card. If you’re in this position then hopefully this guide will help to get you through the process of writing a sympathy message. We’ve set out everything you could need to either write your own or use some of the prewritten messages, quotes and more. Find out what not to say, when is best to send your card, should you offer support, and much more. Use the table of contents below to jump to the most relevant section or read from the start so you don’t miss anything you might need. 1.1 Who is it for? 2.1 How long to Wait? 2.2 When is it too Late? 2.3 Can I send an Email/Text/use Social Media? 2.4 Can I Say Anything Religious? 2.5 Can I Offer Support? 2.6 Should I Send Flowers? 2.7 Should I Send a Gift? If you decide to write your own sympathy message rather than using a prewritten one then there some guidelines you can follow to make sure it has the perfect wording, as well as all the things to avoid saying. Firstly – try not to worry. It’s understandable to be concerned about your words being misconstrued or offensive. It can feel like walking through a minefield writing a sympathy message. But it’s best to focus on the positives, and that is that if you speak from the heart then it will shine through and your words will be appreciated for their sincerity. Just the fact that you have made the effort will be warmly received. To make sure you’re fully confident about writing your wishes then stick to the following pointers and guidelines. Doing so will make help avoid any chance of offending or your words not being as genuine as you would like. This may sound obvious but the intended recipient is vital to the tone of your message and the sort of words you use. 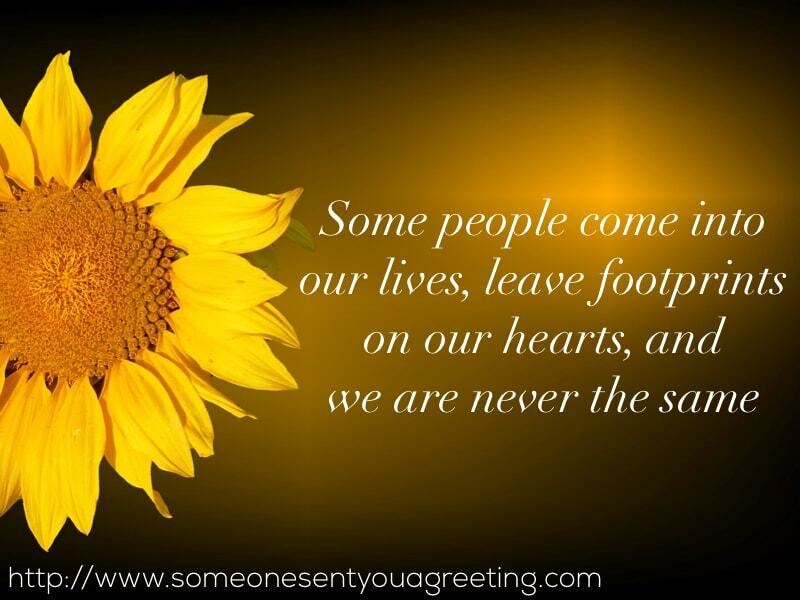 So consider whether the grieving person is a friend, family member, work colleague, just an acquaintance etc. Are you very close to them or do you just know them a little? The less well you know them then it’s much better to stick to something simple and fairly formal. Don’t try and say anything funny as that could be extremely inappropriate. The same for using too much emotion. If you don’t know them well it will just seem odd and probably make them uncomfortable. Something short and simple is more than enough. If, however, the message is intended for someone you know well (friends, family etc) then you have much more freedom in what you say. Talking positively and well of the person is essential. Saying how much you miss them, perhaps sharing a story or anecdote involving the deceased that is appropriate. But mainly make sure you get across how much they meant to you and how much you will miss them. If you are close to the grieving person and know them well then it’s entirely appropriate to offer them help or support in some way. When someone suffers a loss there are so many things going on that it can be overwhelming. So having a friend offering to help with elements of the funeral or running errands for them can be very useful. You can offer to help in a more general way – “if you need any help with anything then let me know” or you can be more specific if you know they need help in a certain area – “I’d be happy to pick up the kids for you next week as I know you’re going to be busy with funeral arrangements”. The one thing to remember is that if you do offer to help make sure you follow through. Don’t promise something then let them down. Never use any phrases like “they lived a full life” or “it’s for the best”. These can be deeply offensive. Even if they did live a full life it is always too short for the people grieving, and “it’s for the best” is an assumption that the recipient will agree. Chances are no one is going to think it’s for the best that a loved one dies. So avoid these types of sayings. And never say it was the “right time for them to have passed”! This should never be said. Try not to compare a loss of your own to there’s. Whilst you may see similarities and think you are helping and offering comfort they may feel you are devaluing their loss. Remember that everyone’s grief is individual and will be experienced very differently. Don’t talk about the circumstances of the death itself. They almost certainly won’t want to relive the moments of losing their loved one. Send a card and don’t just use email, a text message or social media. Putting something on Facebook can be acceptable but a card is seen as the most appropriate way to send your sympathies. Also hand write your card as it makes it more personal. As well as what to say in a sympathy card it can be hard knowing the correct etiquette around sending one. Length of time to wait, gift or flowers to go with it, is anything religious appropriate etc. Below you’ll find a guide for some of these issues and the best way to tackle them. 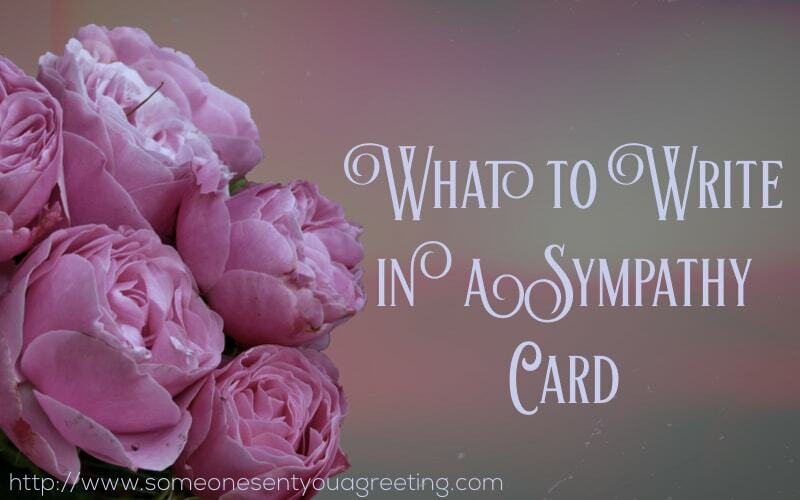 It’s not the full picture, there will probably be things not covered here, but it should be a good starting point to show you the way to handle sending a sympathy card. This will come down to when you feel is best. There isn’t really any set time period as to when to send a sympathy card. Obviously something like 2 years is too late but there isn’t really a perfect time either. As soon as possible is always a good way to view it, and if you feel like you might be a little late with sending yours then you can mention so in your card – “so sorry this is a little late”. As above it’s probably best to send it as quickly as possible. But it’s also very possible you don’t hear about the passing until a few months after it’s happened. Even if that’s the case it’s still advisable to send a card or note. You don’t want to seem like you’ve ignored the death of someone you knew well. Anything over a year would seem odd but if it’s still within months of their passing then sending a condolence or bereavement card would still be appreciated. Can I send an Email/Text/use Social Media? You can, but sending a card first is seen as the more polite thing to do. Even if you saw the news of the passing on Facebook or Twitter it’s still best to send a note or card first. Once you’ve done that then it’s perfectly acceptable to put a message on social media. Can I Say Anything Religious? This is something that only you will be able to decide. This is because you know the recipient and so will be able to judge if anything religious is appropriate. To an extent saying something mildly religious is probably not going to cause offence. For example “you will be in my prayers” is unlikely to be seen as anything other than an offer of sympathy and condolence. However if you were to write a message that referenced God and quoted Bible verses that may well be crossing a line for some people. But then that would depend on whether they are strongly religious themselves, or alternatively they may be atheists. So really you will have to judge this add on how well you know them and their beliefs. One thing to remember though – if in doubt, don’t. These are just general ideas and you may know of some more specific things they need. Sympathy or condolence flowers are very common so sending a bouquet is definitely acceptable. If they come with a note then try to write your message on that. However if they don’t then you should send your own card alongside the flowers or at a separate date. 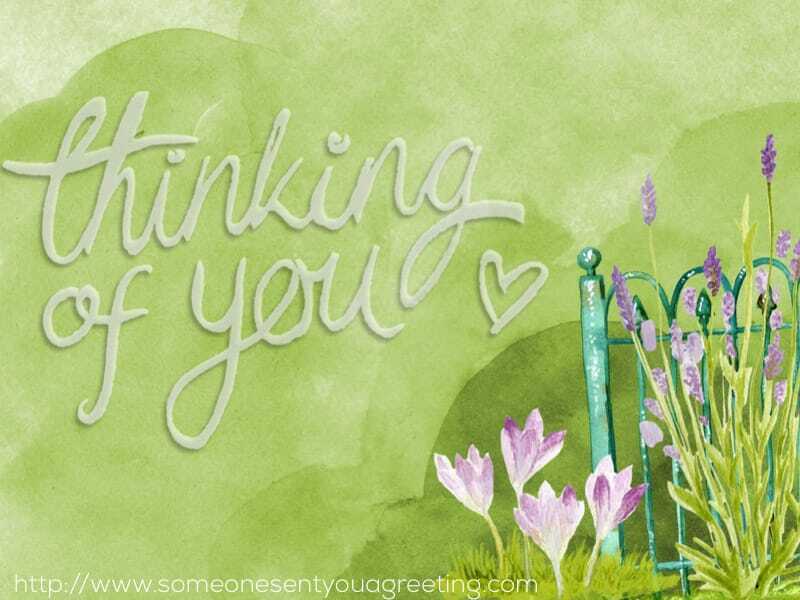 Try not to send flowers only but ensure you send a card expressing your sympathies as well. Should I Send a Gift? It would depend on the gift. Money is definitely not a good idea. It could be seen as very offensive. Flowers are the most usual gift to include with a card and would be the most advisable way to go. Some gifts are acceptable though: something handmade to do with the deceased, maybe a scrapbook or something like that. A very personal gift. But as always if you are in any doubt then stick to what you know isn’t going to be offensive or controversial. You might also want to send an anniversary card on the day of the passing. When an anniversary like this comes around the loved ones can experience the same feelings of loss and grief once again. 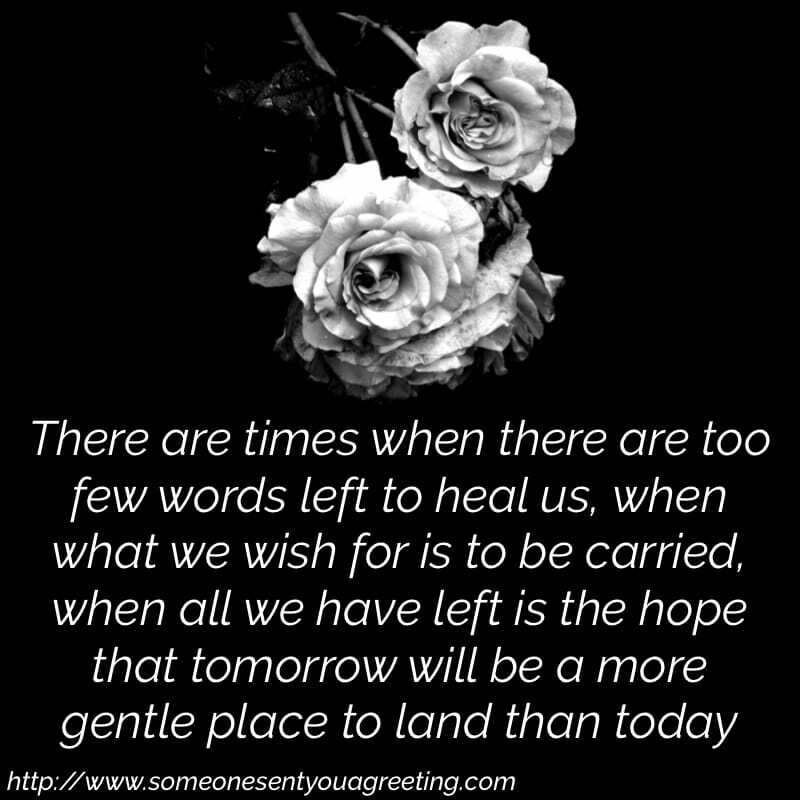 Receiving condolences and words to comfort them on this day can be a real support and remind them they aren’t alone. So it’s something to consider for the future. These sympathy messages are fairly short and simple. 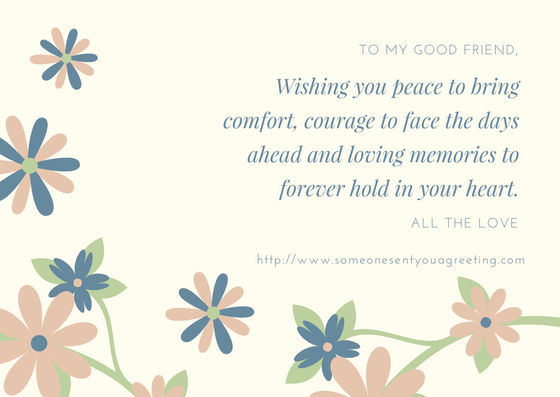 They are perfect for a card or note and concisely sum up the feelings of bereavement or offering condolence. A mother is one of the most significant people in our lives so losing one is extremely difficult. The messages below express words of sympathy for losing a mother and offer comfort in this difficult time. Much like a mother, the loss of a father is one of the hardest times for anyone. 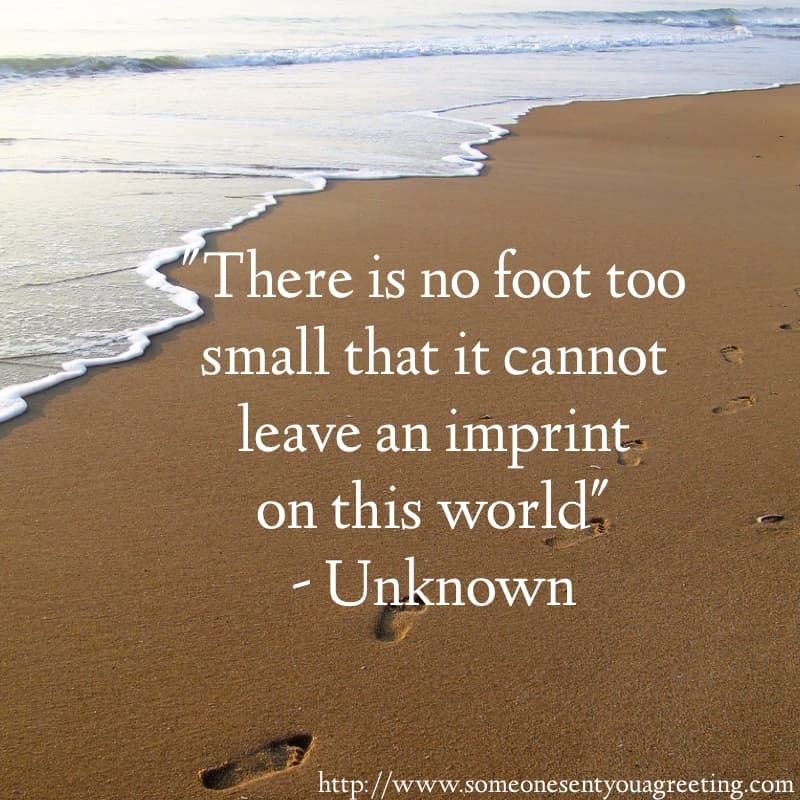 These words do a good job of offering comfort and support when going through the loss of a father. Your dads sense of humour and all round amazing spirit will be a loss to everyone. Losing a friend can be just as hard as losing a family member. The loss can be profound and the grieving intense. Offering support and strength to someone who has lost a friend can be invaluable during such a time of grief. So use one of these messages to comfort them. A quote can often be a great way to find the correct words or saying that you yourself struggle to express. Famous people have summed up sympathy or bereavement in the best way so using one of these in a card can be comforting. You can also use sympathy poems in a card. A beautiful and touching verse or poem can be a lovely gift to send to someone grieving. Gives comfort, to see you through. We two, in heaven above. and death is not the end. with loved ones gone before. when I walk through heaven’s door. from deep within the heart. as you find your way though this. You are in our thoughts. The way you decide to sign your card will be influenced by your relationship with the recipient and the type of message you have written. For the most part you can use a simple closing. Shorter is usually better and try to avoid using “sincerely” or anything similar as it can be seen as too formal. If you know the recipient well then using the word “love” can be appropriate too. Or maybe you could include their name within the closing. Remember to sign your name as well. Leaving it anonymous could be confusing to the recipient as to who it has come from. Healgrief.org – a online platform where individuals or communities can communicate a death, connect, mourn and heal, while celebrating a loved one’s life. Webhealing.com – One of the first websites on the internet for grief and healing.